If you are just a casual observer of the NFL and someone said your team was in trouble Sunday because it was facing the Tennessee Titans, Miami Dolphins, or Tampa Bay Buccaneers you would probably have a good laugh at their expense. But come Sunday, after your team lost, that person would have an even better laugh at your expense. It may seem hard to believe since all three teams have been the definition of inept for years and were even stinking it up earlier this season. But somehow the Titans (6-6), Dolphins (7-4), and Buccaneers (6-5) have each managed to show signs of being dangerous. Should the playoffs start tomorrow, the Dolphins would be the only one making it in as the No. 6 seed in the AFC. But with five games to go, the Buccaneers are only a half-game out of the No.6 seed in the NFC. The Titans are a little further out of the AFC picture at 6-6, but they are only a half-game behind Houston in the AFC South, but they play again in Week 17. After how all three teams recorded another win Sunday, the rest of the NFL better be taking notice—or else! 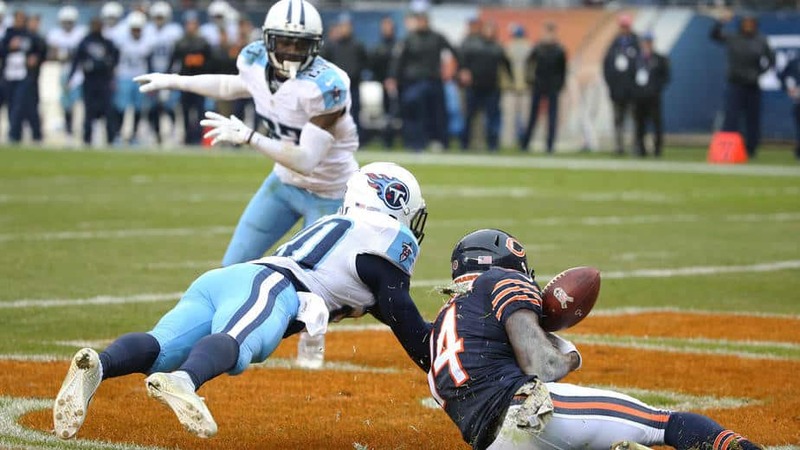 Ask Titans fans why their team is a contender, and more than likely, they will not point to Sunday’s game against the Bears—but the team showed something against the Bears that every contender needs to be able to do. Yes, the blowout against the Packers was a great example of just how well Tennessee can play, but contenders must be able to do more than just blow people out of the water. They need to be able to handle adversity, respond to it, and still pull out the win. As could be expected, the Titans offense didn’t have much trouble scoring in the first half and Matt Barkley had trouble getting much out of the Bears offense. The Titans led 21-7 at halftime and extended that lead to 27-7 early in the fourth quarter with their second field goal of the half. Suddenly, something clicked in Bears quarterback Matt Barkley, and he got the offense moving. After closing the gap to 27-20 with a pair of long touchdown drives, Barkley got the Bears within striking range with 47 seconds left. It was then that the Titans proved they have what it takes to win in the postseason. Barkley had four shots at the end zone, but the Titans defense held strong and forced four incompletions. 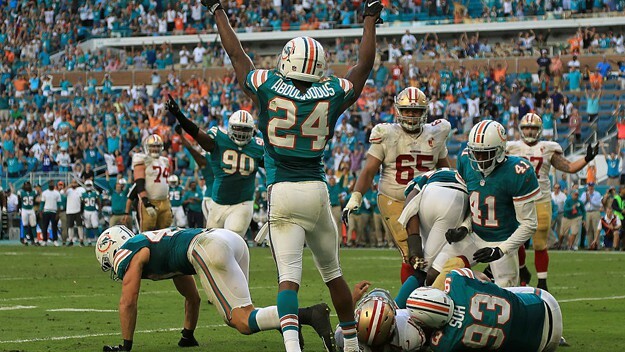 San Francisco 49ers vs. Miami Dolphins: We’re Still Streaking! It is probably not well known, but the Miami Dolphins went into Sunday’s game against the San Francisco 49ers riding high on a five-game winning streak. After a 1-4 start to the season, the sudden emergence of a running game made everyone else’s job a little easier—and it has shown in the final score. To keep it going, they just had to do what everyone else has done to the San Francisco 49ers, and for three-quarters they appeared like they were going to do just that, but after Leonte Caroo had caught a 15-yard touchdown pass from Ryan Tannehill to extend the lead to 31-14, the craziest thing happened. San Francisco’s offense woke up. Colin Kaepernick closed the gap to seven and had the 49ers in position to tie it up on the last play of the game. He decided to run for it on the final play when he couldn’t find anyone open, but ran into Ndamukong Suh at the two-yard line and made sure the winning streak was extended to six. Tampa Bay has been all about the streaks this season and heading into Sunday’s game in Seattle they riding high on a two-game winning streak, including a hard-fought win over Kansas City last week. But surely the Seattle Seahawks could bring the Buccaneers back down to Earth. If the offensive line could have blocked—maybe they would have. But the Buccaneers ran through the Seattle line like a hot knife through butter. They recorded four of their six sacks in the first half and held the mighty Seattle passing game to one net yard in the first half (six total sacks on the day, 11 QB hits; they also had 8.5 tackles for a loss). Jameis Winston hooked up with Mike Evans on their first drives. As it turned out, those two touchdowns were all they needed. A holding penalty gave the Seahawks a safety, but otherwise, all they could manage was a field goal. 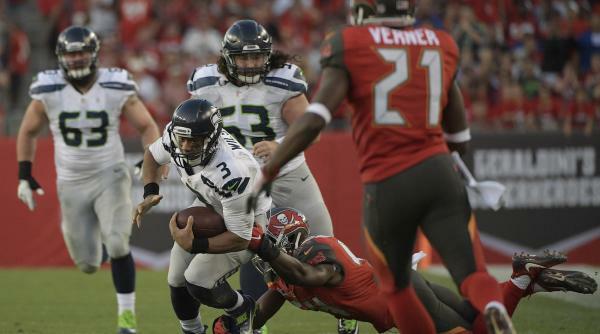 Final Score: Tampa Bay 14 Seattle 5. Tennessee may have the most promise of the three, but only because they still have a very good chance of winning their division. However, they do have a tough slate ahead with games against Denver, Kansas City, and Houston. Playing in the same division as the Patriots kill any chance of a division title for the Dolphins, but as long as Tannehill can stay on track and Ajayi keeps running well they can beat the Ravens, Cardinals, Jets, and probably even Buffalo. But not New England. If they can go 4-1 down the stretch, they’ll be in. Tampa Bay could easily go 4-1 down the stretch; maybe even 5-0. Jameis Winston and Mike Evans are operating at a different level than the rest of the NFL right now. But the problem with Tampa Bay is consistency. If you just used the Seattle game as a reference, you would think Tampa Bay had the best defense in the NFL, but they are ranked No. 24. The offense hasn’t always clicked so well either, but if the Buccaneers are going to make some noise they are going to have to figure out how to play like they did Sunday every week (but with more points scored.